TeamFetchYourNews Sports Reporter’s Player of the Week goes out to 88 Jalen Ingram. Jalen Ingram is a Sophomore at Fannin County High School. 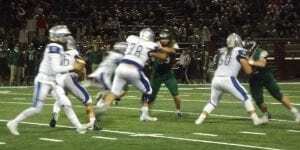 Ingram plays Tight End and Defensive Line for the Fannin Rebels. 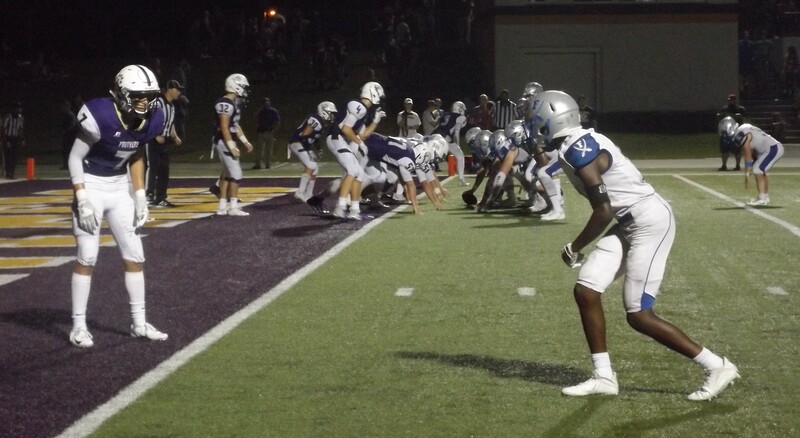 Ingram played a good game Friday night, scoring a 24-yard touchdown for the Rebels. Ingram gained a combined total of 75+ yards in kickoff returns for the Rebels. 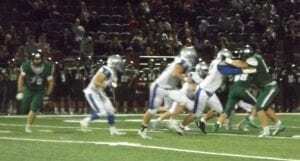 In the third quarter of the game on Friday, Holloway made a 30-yard connection with Ingram getting the Rebels closer to Trojans red zone. 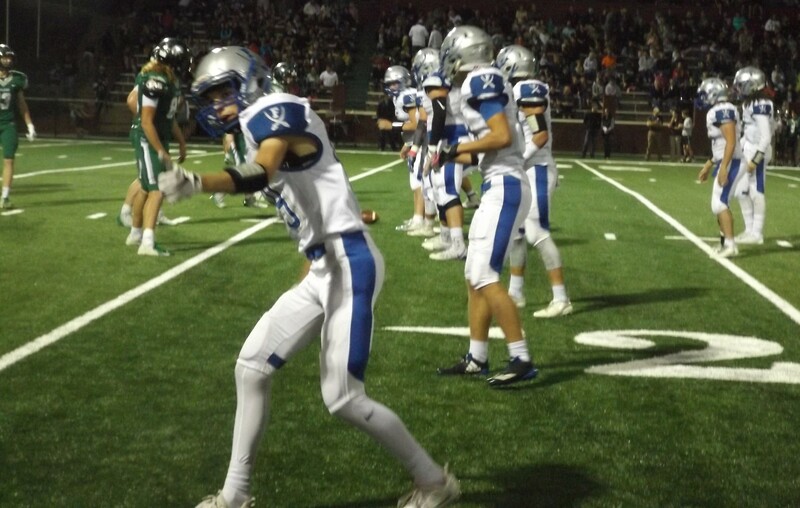 The Fannin County High School Rebels took on the North Hall High School Trojans Friday night for their third game in the regional conference. The Trojans came out of the locker room ready to rumble and executed offensive plays to gain the win over the Rebels, 62-13. In the first quarter, the Rebels received the kickoff and started on their own 20-yard line. The Rebels attempted to find holes in Trojan’s defense but was limited. 12 Luke Holloway made a 24-yard connection to 88 Jalen Ingram for the first touchdown of the game. Shortly after, Holloway gained a 10-yard touchdown rush, 86 Sarah Sosebee with the extra point put 13 on the scoreboard for the last time of the night. 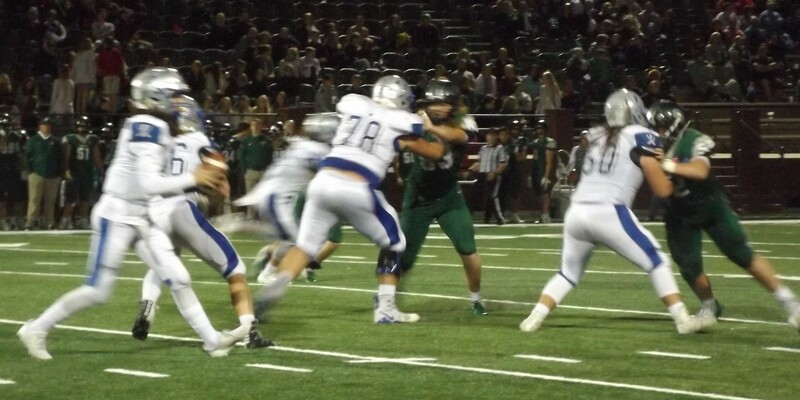 The Rebels had a combined total of 137-yards compared to Trojans 248-yards, and a score of 27-13 Trojans. The second quarter was even more difficult for the Rebels as they tried to get down field but between incomplete passes, flags for ‘false starts’ and ‘offsides’, the Rebels just didn’t have luck on their side. The Rebels gained 15-yards compared to Trojans’ 144-yards, 41-13 Trojans. Coming out of halftime, the Rebels pulled together more yards than the previous quarter, a combined total of 85-yards, but the glimmer of hope the Rebels felt when the Trojan’s end zone was in sight, was snuffed out by an interception. The Trojans gained 142-yards adding to their lead, 55-13. 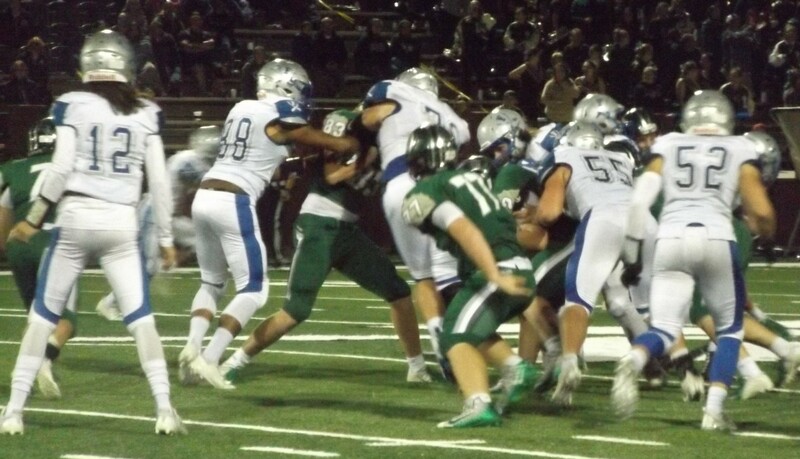 The Fannin Rebels suffered a great loss during the third quarter when 15 Chandler Kendall, a senior at FCHS, was seriously injured after colliding with a Trojan. Kendall played his very first season of high school football this year and since has had some great plays on the field. 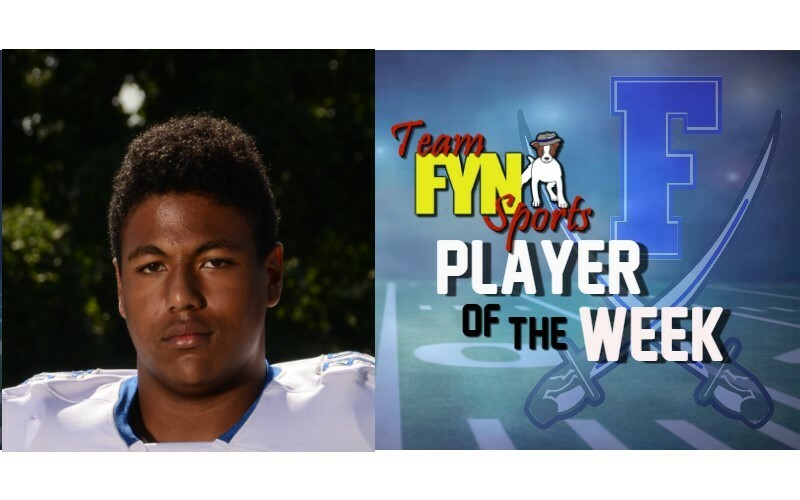 Kendall was also featured as last week’s Player of the Week for TeamFYNSports. In the fourth quarter, the Trojans opted to run the clock out after their 80-yard touchdown, with the extra point, the Trojans had a decimating lead of 62-13. While in possession, the Rebels broke even on yards after a tackle for a loss of 5-yards kept them behind the 40-yard line before the turnover. The Trojans were in possession once more before the final buzzer. With a game total of 660+ yards, the Trojans brought home the W. It was their back-to-back touchdowns in the first half that set them apart from the Rebels. The Trojans came out onto the field seeing scoring opportunities and answering efficiently with 4 touchdowns in the first quarter and 2 more in the second quarter. The Rebels play their 4th regional game at home against Dawson County High School at 7:30pm. Dawson Tigers are coming off a bye week after losing to Greater Atlanta Christian, 23-20. The Tigers are 6-1 overall, and 2-1 in the Region. Come out to support the Rebels this Friday as they take on the Tigers. High school athletics are a huge part of character development for our young men and women, teaching them how to overcome adversity, work together, balance studies with extracurricular activities, and last but not least: It is their first legitimate introduction to health and fitness. 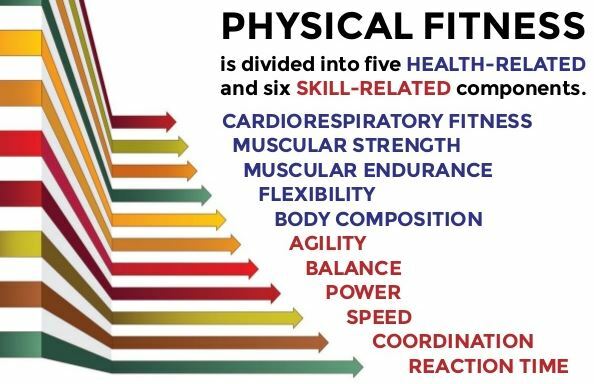 You may have heard of the “Five Parts of Physical Fitness” before – but there are actually 11 components of what a coach evaluates when assessing the physical fitness of an athlete. 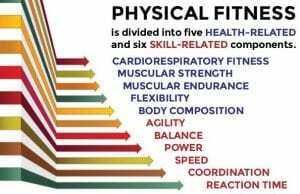 We use these components of physical fitness in our everyday lives, but the first true test of each of these measures typically comes by way of high school sports. Strength coaches help their athletes with endurance, strength, power and balance. Conditioning coaches help their athletes with cardiovascular endurance, reaction time, coordination and agility. All coaches typically impact an athletes body composition, flexibility and speed. The one coach who assists the athletes with all of the above, however, is the athletic trainer. Day or night, when there is a ball game, a wrestling tournament, a track meet, or even at power puff flag football; the athletic trainer stands ready to help the athletes prevent accidents, stay hydrated, and in worst-case scenarios; diagnose and treat injuries as they occur. Oftentimes their hard work is overshadowed by the gameplay itself, but when a player goes down these coaches show their true value by coming to the immediate aide of all involved. Humbly waiting in the shadows of the sidelines, the athletic trainer answers the call that no one else would ever want to. 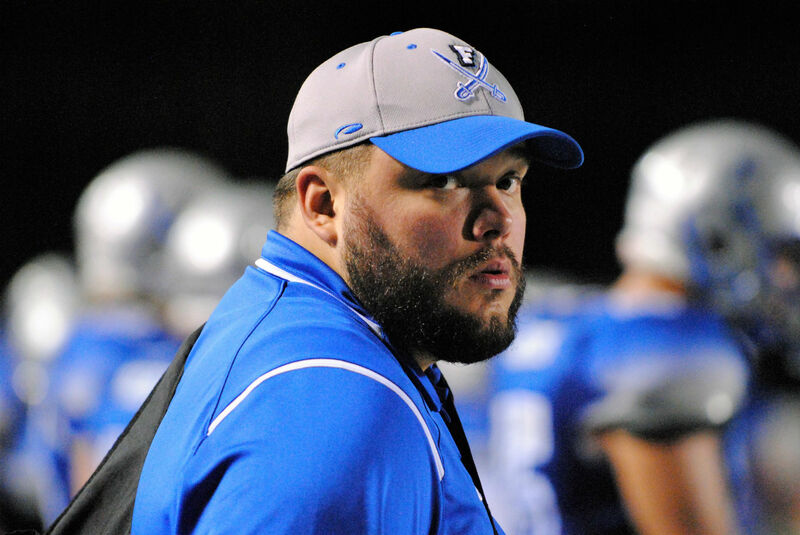 Fannin County High School’s head athletic trainer is Jeremy Keith King, a 2007 FCHS graduate who went on to study Sports Medicine with an emphasis in Athletic Training at Valdosta State University. Coach King graduated with his Bachelor of Science degree in 2011 and after completing his internship at Northeast Medical Center/The Rehabilitation Institute in Gainesville, Ga, he began his career at Fannin County High School. In 2013, he was hired as the Head Athletic Trainer for FCHS, and he was offered a full time teaching position in Healthcare Science. When asked about his experience, King shared that he’s worked closely with multiple doctors, chiropractors, physical therapists and EMT’s; as well as many other sports medicine professionals. “To come home to my high school and serve as the head athletic trainer and instructor of the Sports Medicine program is a dream come true for me,” King told TeamFYNSports. We asked one of his students/trainers about her experience learning from the head athletic trainer and participating in the Sports Medicine program at FCHS. Trudy Cobb is a senior, and could be seen carrying water bottles to players, coaches and even GHSA officials at each home and away football game this year. “It’s a great experience to get to learn things that people my age don’t usually know,” Cobb told TeamFYNSports. “Coach King is a great teacher inside the classroom working with all high school grade levels, but in OUR program we learn SO MUCH MORE.” Cobb shared that she has been introduced to many healthcare professionals by King, and she felt that has helped her understand and develop a genuine interest in sports medicine as a potential career. Although his position at FCHS is a demanding one, King still makes time for his family and his other passions. “I am happily married to Christa [King] and we have two daughters, Evie and Lyla,” said King. “They attend Fannin County schools.” He added that he and his wife recently welcomed their son, Thaddeus, to “Rebel Nation” this year. King is also a member of the Blue Ridge Rugby Club and he is a proud member of the Phi Sigma Kappa National Fraternity. “I currently still serve as a mentor and advisor for new members [of Phi Sigma Kappa] and I serve on the Alumni Board of Executives,” King explained. If you’re a parent of a student athlete at FCHS, you may have already known who Coach King was; do us a favor the next time you see him and shake his hand. This is one coach who has put his whole life into his education, then turned around and brought his skills back to Fannin County to apply them in our community. 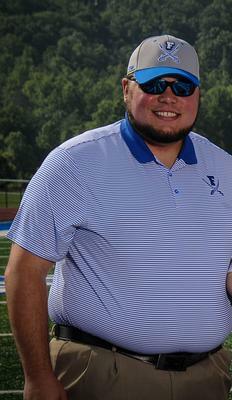 We are fortunate to have Coach King as the FCHS Head Athletic Trainer. On Friday, Dec 15, The Fannin County Lady Rebels hosted the Towns County Indians and looking to bounce back after a tough loss the night prior at Dawson County. 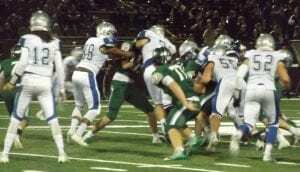 They also suffered a similar loss on the road earlier in the week at North Hall (Gainesville). Just one week before falling to North Hall, the Lady Rebels opened region play against rival Union County. 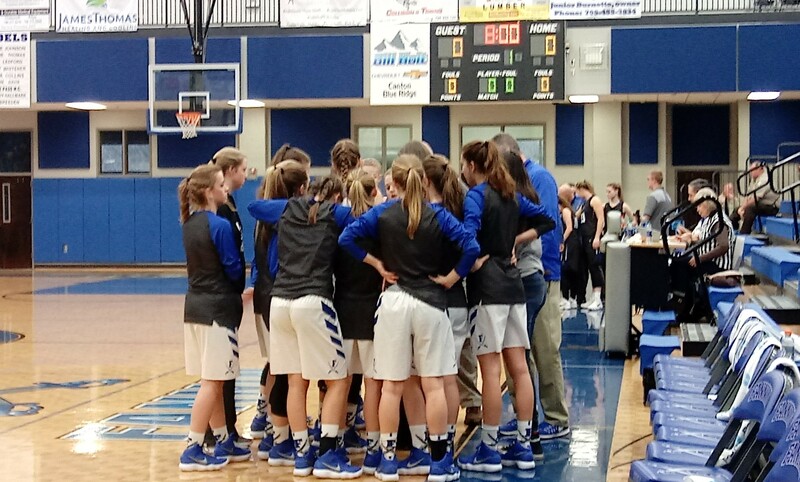 The Lady Panthers were able to escape Fannin County High School with a 2-point victory, giving Fannin their first loss in region play. After falling to North Hall and then Dawson County, the season that started so well has begun to take a turn in the wrong direction. Pickens, North Hall, Dawson County and Union have a combined record of 20-6, with two of those losses coming from favorites to win the state championship in their respective classes. As the Lady Rebels prepared to regroup this week, coach Pass shed light on some of the positives coming out of their strength of schedule. As far as the depth chart goes, there was optimism in that area as well. When Towns County came to Fannin, the Lady Rebels were motivated and hungry for a win. Towns County showed great tenacity and played hard, but the Rebels would not be denied. The Lady Rebels led 25-12 at halftime, 44-24 at the end of the third. They would maintain the 20 point lead they held over the Lady Indians as they went on to score a huge victory 53-33. Hope Franklin led the Lady Rebels offense with 15 points in the game, due mostly to her ability to get in the paint and pull rebounds out of the air at will. Franklin was an unstoppable force under the bucket. If Franklin was Batman, Makenzie McClure would have to be Robin. McClure shared Franklin’s desire for rebounds and the two worked better together than peanut butter and jelly. All jokes aside, McClure had a great game, scoring 9 points in the win and earning some big praise from the head coach. 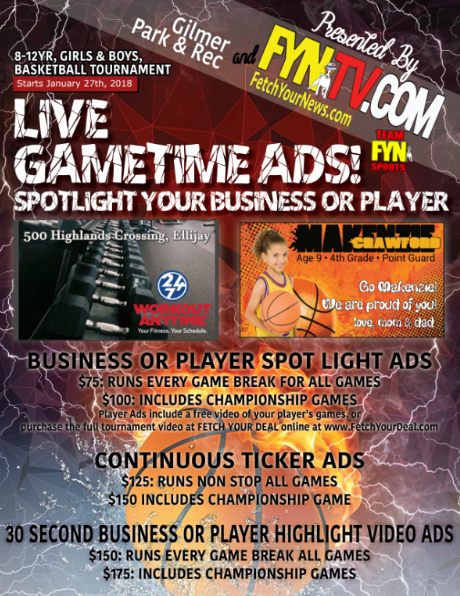 “Makenzie is playing better and better, game after game this year,” Pass told TeamFYNSports. “Maleah Stepp played really well, too, and she hit a big 3 [point basket] in the first quarter when Towns was playing us pretty close. Stepp finished with 9 points in the win as well. Maddie Johnson, who could be seen streaking from one end of the floor to the other, was the key ball handler for the Lady Rebels. She took the point and set up the offense and pushed the ball up and down the floor at an urgent, but controlled pace throughout the game. She scored only 3 points offensively, but her performance outweighs the scorebook 10-to-1. The Lady Rebels (5-4, 0-3) head to White County (7-4, 0-1) and then return to the road Friday afternoon to play Hayesville (NC) before breaking for the Christmas holiday. “I looked at the schedule this week and thought, why did I schedule us two away games right before Christmas?” Pass said with a chuckle. She went on to explain the fear of her girls’ conditioning and the upcoming Holiday tournament. 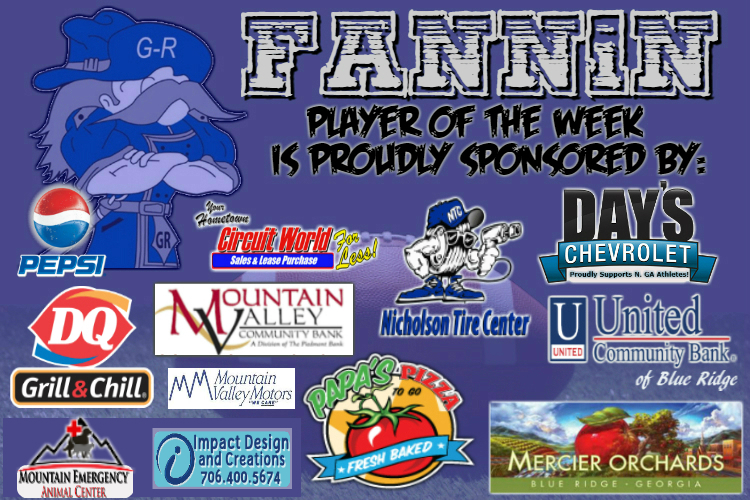 TeamFYNSports looks forward to continuing to cover the Fannin County Lady Rebels as their season progresses. 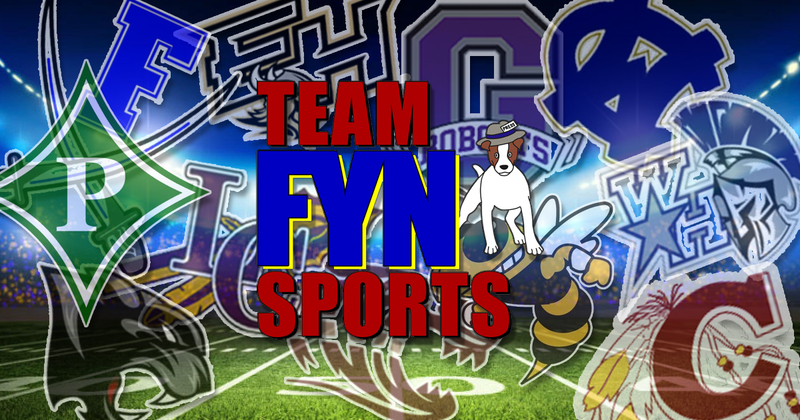 Follow us on twitter @TeamFYNSports and on facebook at www.facebook.com/teamfynsports for all of your local North Georgia sports coverage. 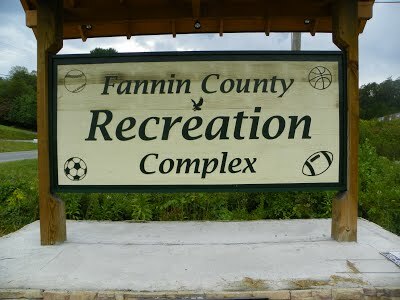 Fannin County Recreation Department is now taking registrations for Spring 2018-Baseball, Softball and Volleyball. Registration for Baseball includes ages 3-14, Softball includes ages 7-14 and Volleyball includes grades 2-8. Please call the Rec Department at 706-946-1130 or visit us online at fannincountyrecdept.org for further information.